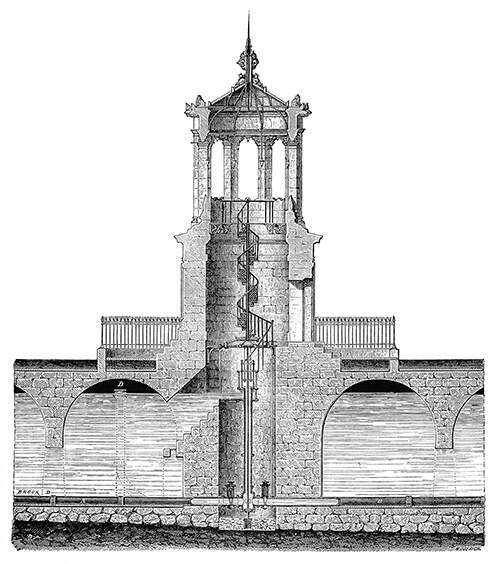 Cross section of the water tower, or cistern at the porte Guillaume, Dijon. 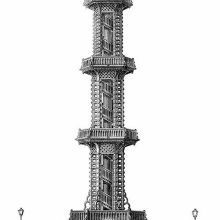 Cross section of a water tower in Dijon, France. The structure was designed by Henry Darcy to provide running water to the 29 000 inhabitants of Dijon, which was achieved in 1838. 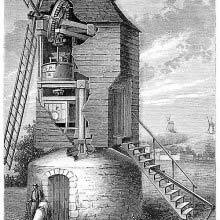 It is located in what is now Darcy Park (jardin Darcy), named after the engineer. 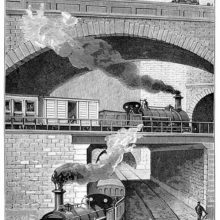 The caption reads in the original French: Coupe transversale du château d’eau, ou réservoir de la porte Guillaume, à Dijon.